Thanksgiving is right around the corner, and as someone who loves to cook (and eat), it's without a doubt my favorite holiday. Since I've been preparing the Thanksgiving meal for years now, I've go most of my recipes on lock. But I've been wanting to experiment with some healthier Turkey Day alternatives that don't skimp on flavor. 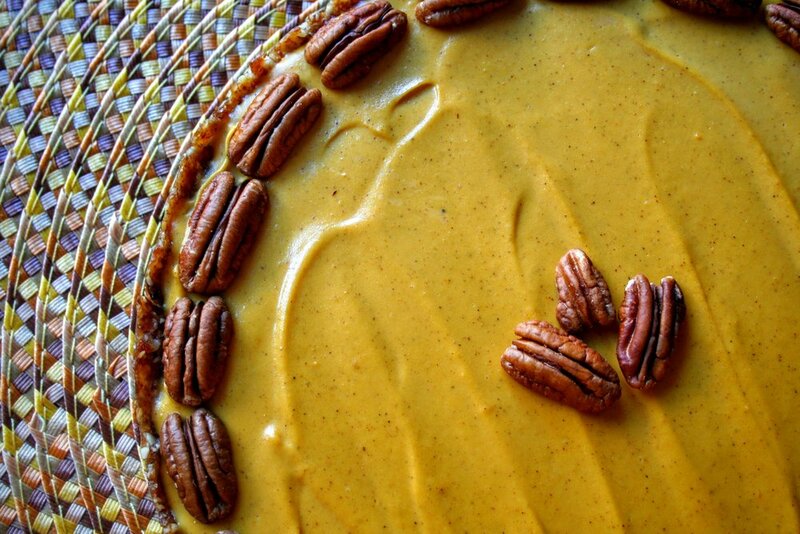 I decided to combine one of my favorite foods and Thanksgiving staples into a dessert: sweet potato. I adapted this recipe and was able to create a dessert that is gluten free, dairy free and refined sugar free. I know what you're thinking, but I promise it's still delicious! 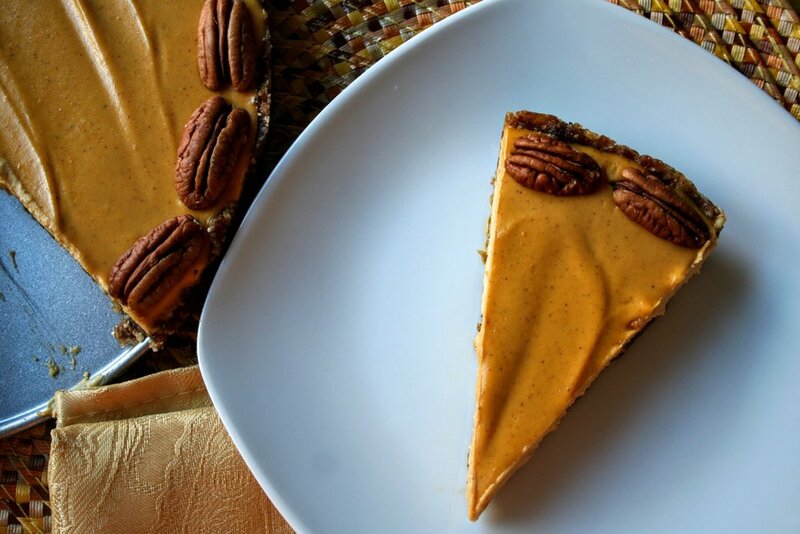 By using a base of pecans and dates and a filling of cashews, coconut cream and roasted sweet potatoes, the result is silky and decadent without being too cloyingly sweet. And because it's no bake, it won't take up much needed space in your oven on the day when it matters most. While sweet potato is roasting, put dates, pecans and salt in food processor and process until you get small, mealy crumbs that stick together when you press with your fingers. Press into bottom of a springform pan until flat, going up the sides about a 1/2 inch. You could also use muffin tins for individual portions if you wanted to be extra adorable. Place in the freezer to set. Add all the filling ingredients, including the roasted sweet potatoes and remainder of coconut oil, into a blender or vitamix and blend for a minute or two until everything is smooth. If the mixture seems really thick, add a little bit more coconut milk. Pour filling on top of the crust and smooth with rubber spatula. Cover and return to freezer for about 4 hours or until set. When ready to eat, let thaw for 10 minutes and top with additional pecans. Slice and serve!